Jacqueline Fernandez has yet again made a strong style statement. This time it's the androgynous angle of her outfit that's making people go gaga! 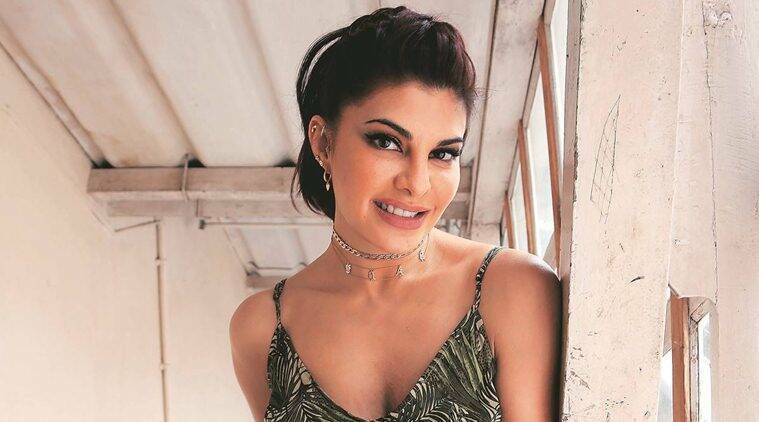 Recently, Jacqueline Fernandez attended the world Bio-Bridges mission, a project launched by The Body Shop in New Delhi to protect the world’s most endangered rainforest. Keeping the green theme in mind, the ‘Judwaa 2’ actor wore a pistachio green ensemble from the house of Appapop. It’s refreshing to see how this Sri Lankan beauty took the separates trend to a whole new level and also worked the monochrome and androgynous angle beautifully while at it. It’s not easy to pull off three trends at one go, but Fernandez somehow managed to do it, leaving us drooling with her superb sense of style. Her body-hugging shirt with three-quarter sleeves even had a matching tie to go along with it! What we love about this look is that the pants were flared and a sleek brown belt, cinched at the waist, was used to break the monotony of the outfit. The end result is elegant, chic, fierce and feminine, all at the same time. A special mention goes to celebrity stylist Tanya Ghavri as well for the brilliant curation. With hair parted on the side and pulled up in a ponytail by celebrity hair and make-up artist Shaan Muttathil, her look was complemented with minimal make-up, winged eyes, a soft pink pout, 3D floral embellished sandals by Coach, and a Bvlgari Serpenti watch. We think the styling was on point but it’s the unusual colour of the outfit which was the highlight of her #OOTD. We feel this pastel green shade may as well rule our wardrobes in the days to come. What do you think about her look? Let us know in the comments below.